It was a real privilege to welcome the Headteacher of East Barnet School to Bushey Meads on Wednesday of this week. 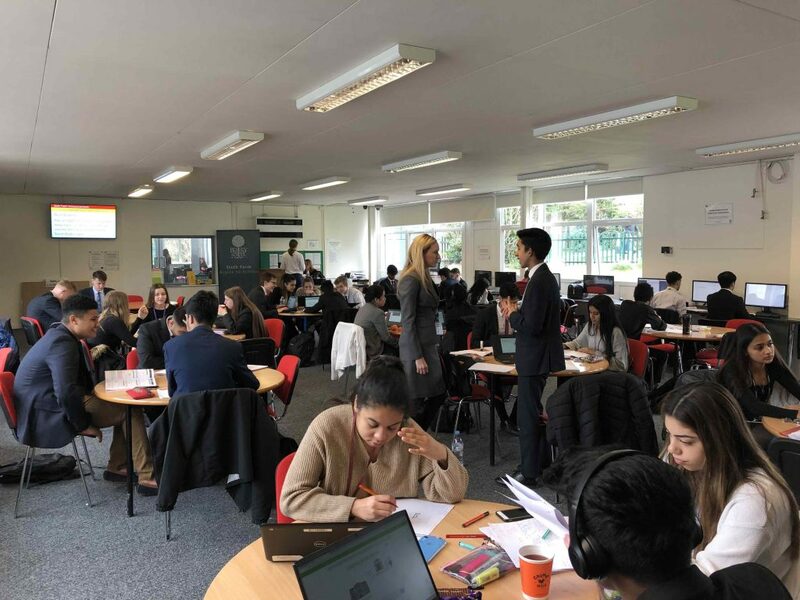 Ms Swain, who was appointed to the substantive Headship post in September of this academic year, leads one of the most popular and oversubscribed schools in the London Borough of Barnet which, like Bushey Meads has a technology specialism. We both spent time sharing our common vision for school leadership and explored many opportunities to share best practice across our two schools. Introducing her to some of the key leaders at BMS including (amongst many other staff she met during the morning) Lead Practitioner for English and Whole School Literacy Ms Bowe, Business Manger across the BSJT Miss Coombs, Assistant Headteacher Mr Searle and Deputy Headteacher Mrs Ash she was able to see and hear about all the superb work that all staff have done here at Bushey Meads over the past 4 1/2 years to place our school at the fore-front of best practice in this area of London and Hertfordshire. 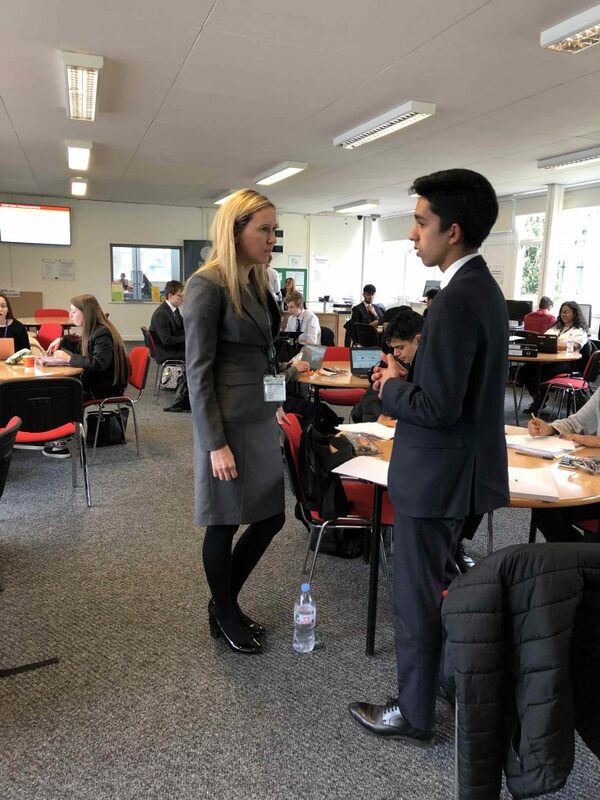 She also spoke to a number of students including our Head Boy Rikhil – pictured here in the busy and productive Sixth Form Study Centre, and paid an inspiring visit to our innovative ‘Little Gems Nursery’ at Little Reddings Primary School – a cost price nursery for children of staff who work across the Bushey St James Trust.